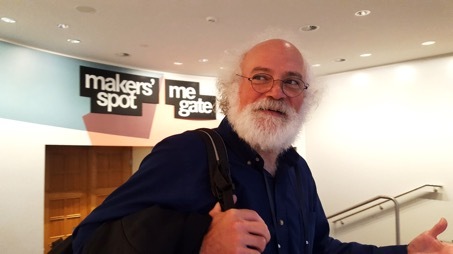 John Cohn, an IBM Fellow and Chief Scientist for IBM’s Watson Internet of Things Division will discuss how the Internet of Things is causing digital disruption, particularly in the fields of artificial intelligence and blockchain technology. The Internet of Things is changing the world and causing Digital Disruption particularly in the fields of artificial intelligence and blockchain technology. In this talk, John Cohn, an IBM Fellow and Chief Scientist for IBM’s Watson Internet of Things Division will relate some fun and (hopefully) useful insights how these same concepts of disruption can help us manage our own lives and careers.